It is with great excitement (and very sore muscles!) that I tell you I am training to participate in an endurance event, the Nike Women's Marathon in San Francicso on Oct. 22, as a member of The Leukemia & Lymphoma Society's Team In Training. 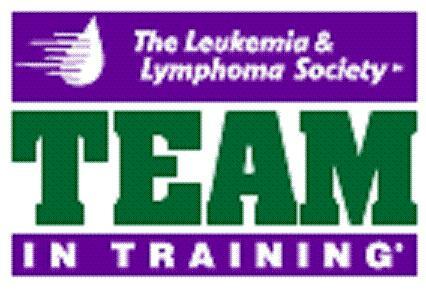 All of us on Team In Training are raising funds to help stop leukemia, lymphoma, Hodgkin lymphoma and myeloma from taking more lives. I'm completing this marathon in honor of all individuals who are battling blood cancers. These people are the real heroes on our team, and we need your support to cross the ultimate finish line - a cure! I hope you'll visit my web site often. Be sure to check back frequently to see my progress. Thanks for your support!